When in doubt, the ITU Phonetic Alphabet should always be used. 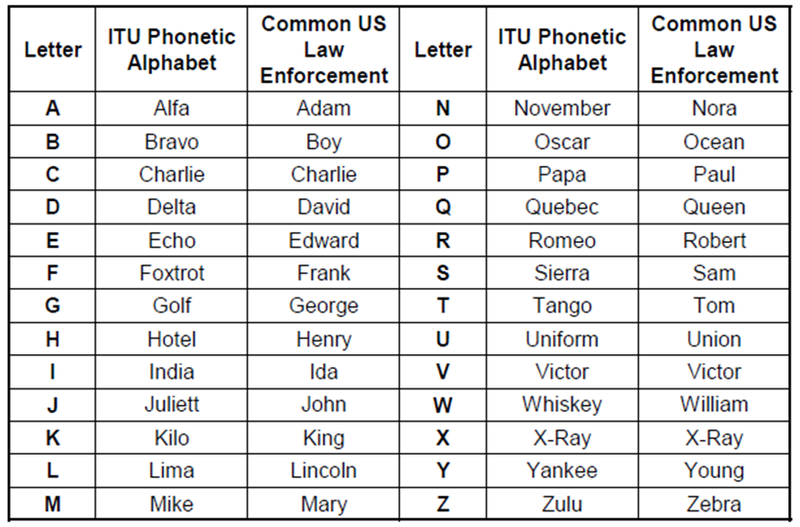 This phonetic alphabet is an international standard and is used worldwide, not only by Amateur Radio operators, but also by military, maritime, and aviation interests. We also provide the APCO Phonetic Alphabet for reference. The APCO alphabet is commonly used by law enforcement organizations. You should use this phonetic alphabet only if you are familiar enough to use it correctly and only if you are certain that the person on the receiving end customarily uses this alphabet. If in doubt, stick with the ITU Phonetic Alphabet.